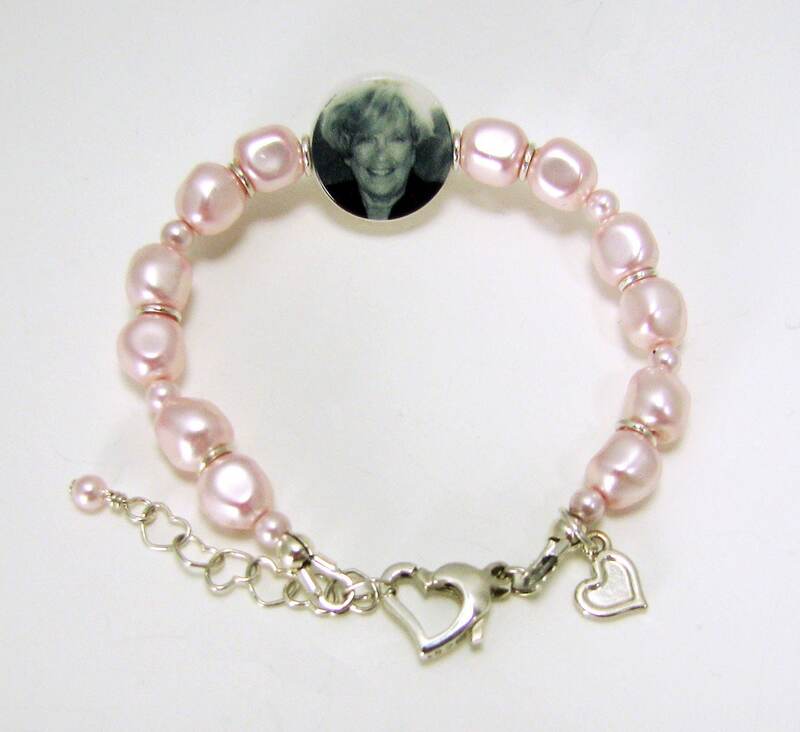 This is a beautiful bracelet for any little girl. 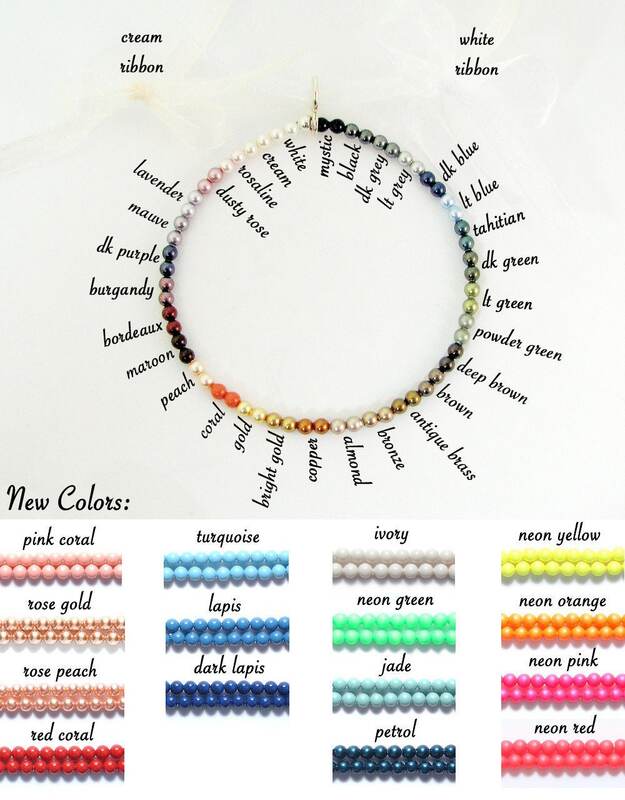 It's shown here in Rosaline Pink Swarovski crystal pearls, but it's available in the colors listed below. 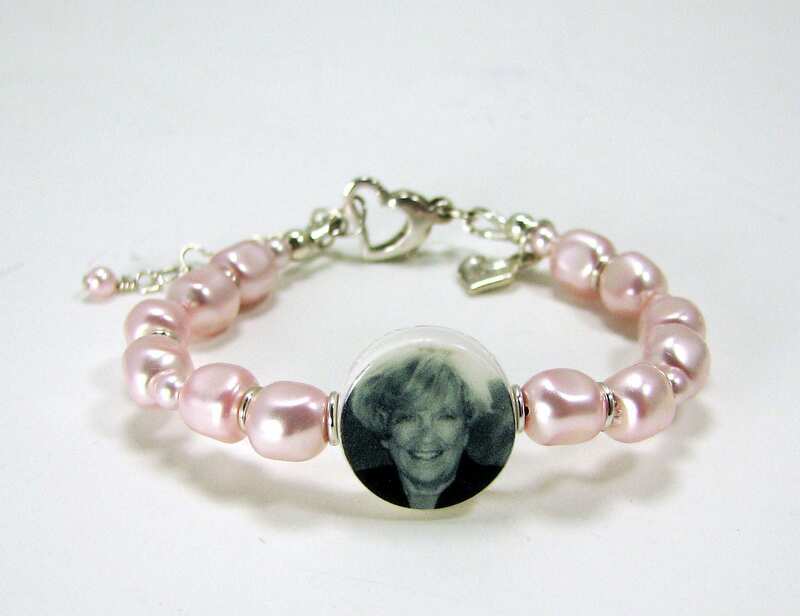 This bracelet holds a two-sided photo charm that measures .5" across. The bracelet measures between 4" and 6" in length and comes with a 1" extender chain. Order it with two of your favorite images, or request a custom text image for one side as shown above. 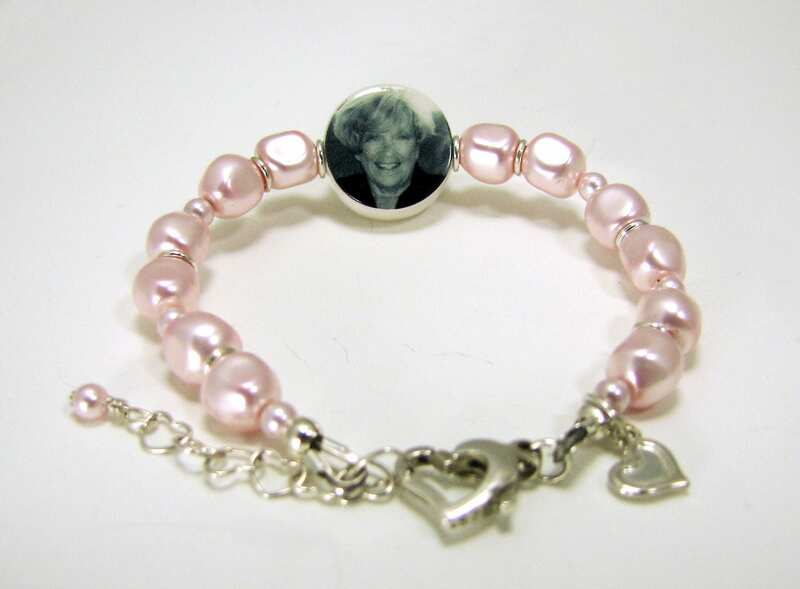 The charm can easily be flipped over to display either side while being worn. It comes with a sweet, sterling silver heart shaped charm and lobster claw clasp.